Come, all you faithful, let us hasten to the Virgin: for long before her conception in the womb, the one who was to be born of the stem of Jesse was destined to be the Mother of God. The one who is the treasury of virginity, the flowering Rod of Aaron, the object of the prophecies, the child of Joachim and Anne, is born today and the world is renewed in her. Through her birth, she floods the church with her splendor. O holy Temple, Vessel of the Godhead, Model of virgins and Strength of kings: in you the wondrous union of the two natures of Christ was realized. We worship Him and glorify your most pure birth, and we magnify you. 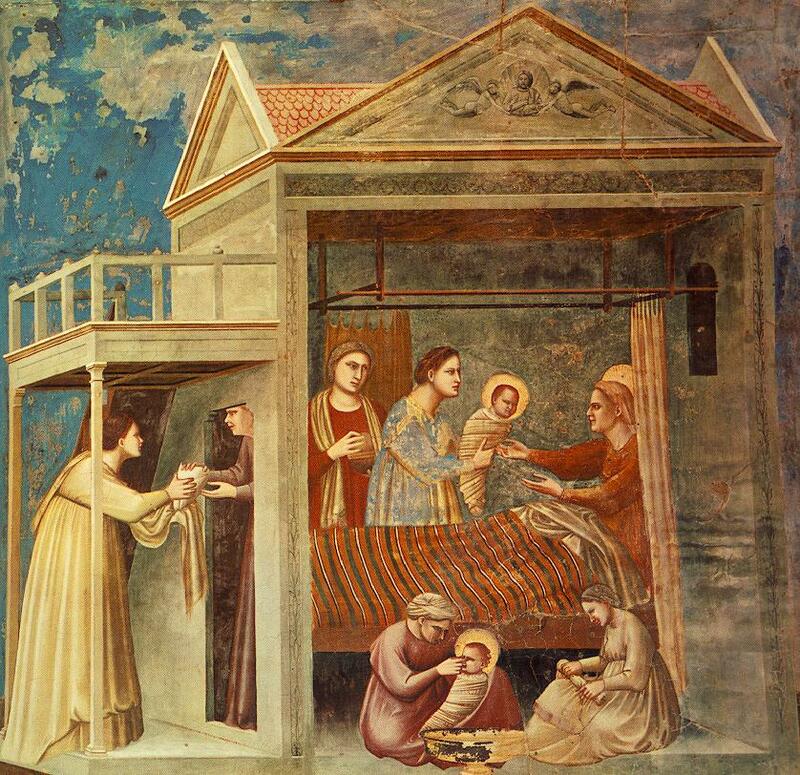 The painting in the Arena Chapel, Padua is by Giotto 13th century. the birth and on the left, She is depicted being handed to Anna.